Skylark Blog: When does 30 + 90 not equal 120? In Divorce Court! When does 30 + 90 not equal 120? In Divorce Court! If you filed a Joint Petition for Divorce in Massachusetts then you will participate in an uncontested divorce hearing and the Judge will then issue Findings of Fact the day of the hearing. A Judgment of Divorce Nisi will issue after thirty (30) days, and it will become Absolute after a further ninety (90) days. This means that if you file a Joint Petition for Divorce you are not legally and officially divorced until at least 120 days after the divorce hearing date. If you filed a Complaint for Divorce then your case will end either with a trial (if you don't settle) or an uncontested divorce hearing (if you settle). If you reach an Agreement, then a Judgment of Divorce Nisi will issue and be effective as of the date of the uncontested divorce hearing, and it will become Absolute after a further ninety (90) days. This means that if you file a Complaint for Divorce you are not legally and officially divorced until at least 90 days after the divorce hearing date. Since the statute (M.G.L. c. 208 s 21) simply calls for judgments to become final after the "expiration of ninety days", why would it take longer? Because the Court is not open on holidays and weekends, and this can affect the final effective date. In a Joint Petition this can also affect the date the Judgment actually issues as well, since it is thirty days after the hearing, and not the same day as the hearing as in a Complaint for Divorce. 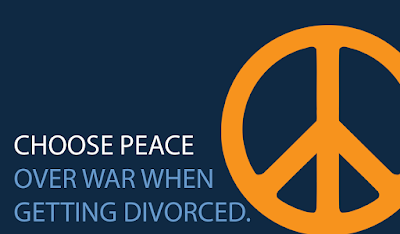 Assume that you file a Joint Petition for Divorce and your uncontested hearing date was on April Fools Day, Friday, April 1, 2011 (you may read into the choice of that date whatever you choose to). Thirty days after April 1, 2011 was Sunday, May 1, 2011 (TIP: if you don't like counting on a calendar use Wolfram Alpha for quick date calculations). Since the court is not open on Sundays, the Judgment of Divorce Nisi in this case would have issued on Monday, May 2, 2011. Now to calculate the Judgment of Divorce Absolute date, we would count 90 days after May 2, 2011, which results in Sunday, July 31, 2011. Again, the court isn't open on Sunday, so the date of Divorce Absolute shifts to Monday, August 1, 2011. In this example 30 + 90 = 122. Welcome to math in the Divorce court! Thanks to Robin Chaykin, Esq. of Fraser & Galanopoulos for bringing this discrepancy to our attention!